Indoor coasters were inspired by the ancestor of the modern roller coaster: the scenic railways. Some featured indoor segments where riders would look at show scenes and be a mix of both relaxing and thrilling sections. For this article, we will look at rides that are the main focus of a show building or soundstage and use it to the advantage of the ride. 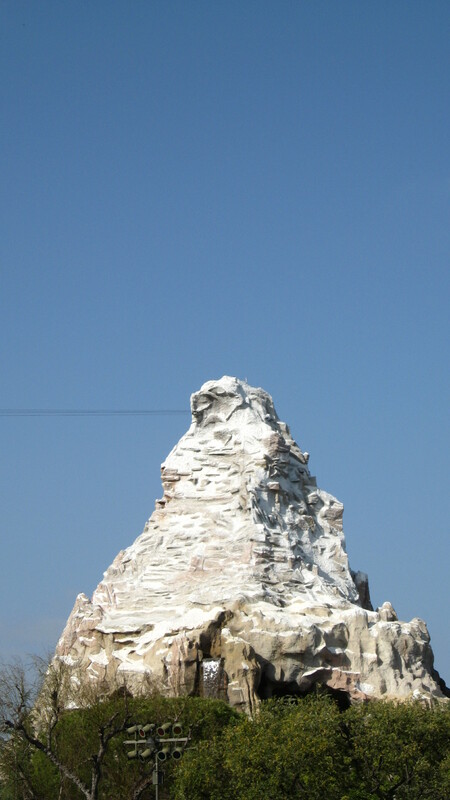 In 1959, Disneyland (Anaheim, CA) introduced the Matterhorn Bobsleds, the world’s first tubular steel coaster. Built inside a 159 feet tall wood and steel mountain, this thrilling attraction featured long indoor sections that were unfinished until 1979. That year, the ride was renovated and higher capacity double bobsleds were introduced. As for the mountain, the indoor segments became ice caves along with a convincing snow storm effect on the lift hill. The mountain also became the home of Harold, the abominable snowman. In 1959, Mack Rides designed and built a unique indoor coaster that used a spiral lift hill and wooden wild mouse track and cars at first. Then, after travelling from Germany (owned by Peter and Maria Biermann) to North America, where it was owned by Patty Conklin and Morgan Hughes. In 1962, Morgan Hughes acquired sole ownership and it travelled quite a bit. In 1968, Mack replaced the wooden track with a new steel track, keeping the original layout. Originally known as the Broadway Trip, it was then renamed the Love Bugs. 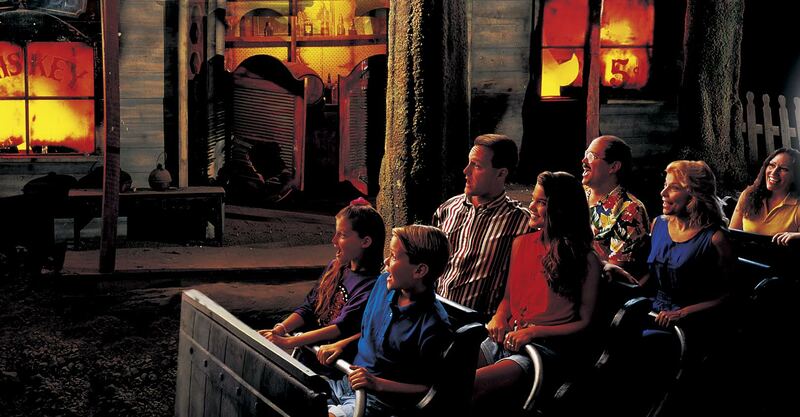 In the early 1990’s, the ride was sold to Casino Pier in Seaside Heights, NJ and was rethemed to the Wizard’s Cavern. The ride featured two outdoor dips and then sharp wild mouse turns inside, with various light and water gags. It was sadly removed in 2003. In 1960, Philadelphia Toboggan Coasters (PTC) main designer, John Allen, designed a family steel coaster for Hunt’s Pier in Wildwood, NJ. This was PTC first and only steel coaster and the 35 feet tall coaster is housed in a custom building, with short passages outside. Gentle dips provide family thrills as the ride went past the dark ride scenes. The ride ran until 1992, then reopened in 1996 and finally closed for good in 1998. In 2009, the ride system was sold to Knoebels (Elysberg, PA) and they built a new dark ride around it. Called the Black Diamond, this beautiful classic dark ride is a nice homage to the original ride. 1972 saw Silver Dollar City in Branson, MO start construction on a new roller coaster/dark ride hybrid. The ride opened in 1973 and this curious steel roller coaster is powered around most of the dark ride section. For the ride theme, the park went into the local lore and picked the Baldknobbers, a local folkloric gang of vigilantes that is have set fire to the town of Marmaros. Marmaros was built on the present location of Silver Dollar City, around the Guano mining operation in Marvel Cave and was burned down in the late 1800’s. In “Fire in the Hole”, we are the volunteer fire department and our valiant ride operators are dressed for the part and a brave dalmatian is also present. Near the ride, an antique fire engine is present and support the theme of the attraction. At one point start executing drops that increase in height and intensity each time. The first drop take us down a burning bridge and is 13 feet tall. We then rise up and right before the train hit us, we go down an 18 feet drop. In a spectacular sequence, our train goes up, hang over the ledge… right before going down the last 24 feet curving drop. The last drop takes us through a pool of water that act as a brake for our train. Fire In the Hole can currently operate with 5 12 passengers train and has a capacity of 1000 riders per hour. The maximum speed is over 30 mph at the bottom of the third drop. To increase ride capacity, a large section of track after the first drop was mothballed in 1982 and a sharp left turn toward the second drop constructed instead. The ride current track length is 1520 feet long. This picture of Fire in the Hole dates probably date back to the 1970’s. The ride today, you can see great scenery and fire effects in the background. The fire is created by having thin clothes shaken by fans and having rich yellow, orange and red lights focused on them. It is an incredible illusion. Around 1973-1974, a small Japanese amusement park in Fujiwara, Japan called Nipponland opened with two coasters. One of them was an enclosed “Jungle Mouse” model from Sansei Yusoki and this was the first time ever that a park enclosed a thrilling roller coaster, versus using a gravity coaster as a dark ride method of transportation. The ride closed in 2004 and the park was renamed GrinPa in its later years. This entry was posted in Coasters and tagged Disney World, Disneyland, Dollywood, enclosed coasters, Magic Kingdom, Silver Dollar City, Space Mountain. Bookmark the permalink.